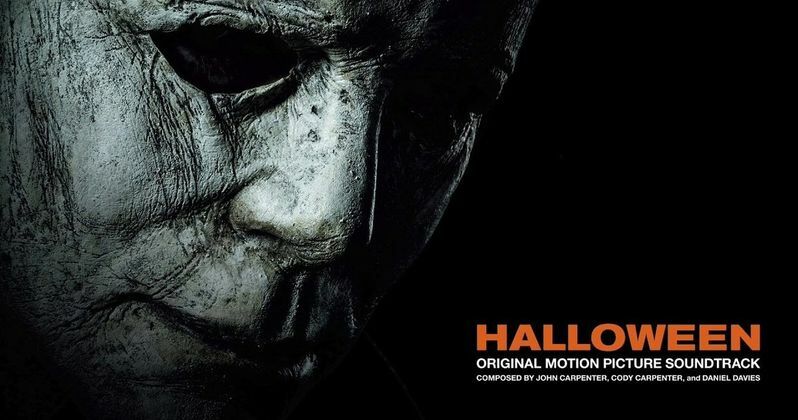 The full score for the new Halloween scountrack from John Carpenter has been released ahead of the movie's debut in theaters. This may not be just one of the most anticipated horror movies of the year, but quite possibly one of the most highly-anticipated movies of 2018 overall. While Carpenter didn't return to direct, his DNA is going to be embedded in the sequel via the soundtrack, which fans can listen to in its entirety right now. The original Halloween was not only directed by the horror legend, but John Carpenter provided the score, as he's done with many of his movies. But the theme went on to transcend the genre and has become a truly iconic piece of cinematic music. Blumhouse head Jason Blum, who is behind the new sequel, knew that getting Carpenter back in a meaningful way. Carpenter, in an interview with Entertainment Weekly released to coincide with the score dropping online, recalls how Blum talked him into it. "Well, [producer] Jason Blum came to see me and said, 'Instead of sitting on the sidelines criticizing these people, why don't you jump in and help?' So I decided to help try to get it as good as I could." Aside from his duties working on the score, a highlight of many in the new Halloween, which serves as a direct sequel to the original 1978 slasher classic, John Carpenter also boarded as an executive producer and creative consultant. David Gordon Green (Pineapple Express) was in the director's chair. As for the score, Carpenter revisited some of the old themes that helped make the original so great, but, with the help of his son Cody Carpenter and godson Daniel Davies, Carpenter was able to craft something effective and different for modern audiences to enjoy. "We've got the basic themes from the first film, but we've improved them with the new technology we're working with today. Because that was wayback. I was working with tube amplifiers in those days, which you had to tune up. Nowadays, it's unbelievable! But we invented new music in certain places that required it. You can't just retrofit something. It's got to work for the film. So, it was a combination of two things, old and new, and it was just a blast. It was fun!" Soundtrack aside, there is a lot to look forward to with the Halloween 2018, which finally arrives in theaters this weekend. Jamie Lee Curtis is back as Laurie Strode and the majority of critics have been buzzing about the sequel ever since it made its debut at the Toronto International Film Festival. Fans will finally have the chance to weigh in for themselves in the coming days. For those of you looking to kill the last few hours before seeing the movie, be sure to check out John Carpenter's full Halloween score from the Sacred Bones Records YouTube channel for yourself below.